The construction costs of the venue, which opened as the Purdue Arena, were $6 million. The Mackey Arena, which is owned by the Purdue University, is named after Guy Mackey. It opened with a capacity of 14,000. The arena is used for several events, like basketball, concerts, volleyball and wrestling. 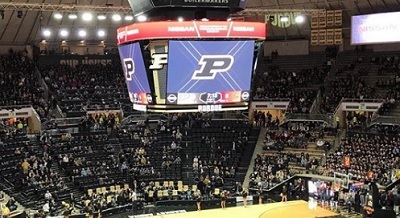 It is used for basketball matches of the Purdue Boilermakers. They played numerous matches at the Mackey Arena in front of capacity crowds. The Indiana Hoosiers are known as the arch-rivals of the Purdue Boilermakers.